658.32 sqft. - 1089.20 sqft. Located at Chembur in Mumbai, Stella Sapphire is a project by Vaibhav Lakshmi Builders. Comprising 2 BHK and 3 BHK apartments, this project boasts of an eco-friendly design and a plethora of modern amenities. The floor space of the apartments ranges from 658 square foot to 1,089 square foot. This gated community comes with round-the-clock security. Amenities include power backup to get rid of powercut woes, a clubhouse for social events, a gymnasium to stay fit and a children's play area. Chembur has many schools and hospitals. It is also well-connected to the rest of Mumbai. 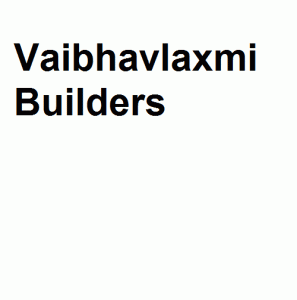 Vaibhavlaxmi Builders is a remarkable name in the construction industry which stands for supreme and outstanding quality. Customer satisfaction is their main philosophy and they always find their comfort in providing more than commitment. The construction group always takes care of all the activities during the time of construction and their strict observation on the quality control services helps to build constructions of flawless qualities. Vaibhavlaxmi Builders seems to update their technology and apply it in their various methods of construction of superior quality and also fulfill the dreams of their customers to provide the best kind of home.